A graveside service for Janet Fisher, 76, of Newark formerly of Lake Placid, Florida will be held at 11 a.m. Friday at Newark Memorial Gardens in the mausoleum, with Rev. Charles Mason officiating. Family will receive friends from 4 to 7 p.m. Thursday at Brucker and Kishler Funeral Home, 985 N. 21st St. Newark. Janet a homemaker, passed away January 28, 2019 at Altercare Newark South. She was born December 25, 1942 in Woodsfield, OH to Dorothy (Cline) Fink and the late Ferrell Vanwy, Sr. In addition to her mother, she is survived by her daughters, Misty (Kris) Bashore of Thornville, OH, Penny Fisher of Newark, OH, Christy (Pat) Parkhill of Hendersonville, NC and by her son Rodney Fisher (Janet Coker) of Summerville, SC; step-mother Helen Vanwy of Newark; brother, Ferrell (Kathy) Vanwy of Newark, OH; step-sister Donna (Brice) Shumaker and step-brother Charles Mason both of Newark, OH; grandchildren; Matthew (Allison) Bashore of Circleville, OH, Tyler (Lauren) Parkhill of Hendersonville, NC, Travis (Kristin) Bashore of Thornville, OH, Sarah Muncie of Newark, OH, Ryann (Michael) Huddleston of Atlanta, GA, and Kandie Sliger of Newark, OH, and great-grandchildren, Mason, Tyson, Wesley, Hunter, Colton and Gracelee. In addition to her father, Janet was preceded in death by her husband, George Fisher. Janet was a 1960 graduate of Utica High School. She married the love of her life George Fisher on September 12, 1964. They were married 53 years. Together they raised 4 children a combination of his, hers and theirs, but all counted as only their children. Janet and George loved their family vacations, cooking and entertaining. They renovated an old school bus into a camper and took many trips to Florida. Janet loved flowers, drawing and reading. Janet got to enjoy retirement in Florida for several years. She was considered kind and sweet by all. She was a wonderful wife and mother and had many special friends in Ohio and Florida and will be greatly missed by all. In lieu of flowers, contributions may be made to Hospice of Central, OH, P.O. Box 430, Newark, OH 43058-0430. To sign an online guest book, please visit www.brucker-kishlerfuneralhome.com. Delcie Ruth Gray Pound, 18 days shy of 102 years old, of Medina County passed away January 26, 2019 at The Hospice of Medina County. Delcie was born in Jackson County, Ohio to Homer Edwin Rowland Gray and Catherine Elizabeth Welch Gray. She was preceded in death by her parents, her husband Paul F. Pound who was the love of her life and her son-in-law Jack Heimovics. As the oldest of five, she was also preceded in death by her sisters Della Barthelmas and Muriel McArtor, and brothers Harold E. Gray and Lloyd E. Gray. She is survived by her son Roger (Dora) Pound of Lisbon, daughter Nancy Pound of Medina, two grandchildren and one great-grandchild. Delcie’s most interesting life started in the Village of Latrobe and at Berlin Crossroads in Jackson County. In 1936 she graduated from Wellston High School. Delcie attended Bliss Business College in Columbus, completing a 16 month course of study in 4 months. Before meeting Paul, she worked at Maize General Tire in Columbus and at The Ohio State University Agricultural Extension Office. After her marriage in 1939, she and Paul moved to Newark, Ohio. Delcie went back to work when the war demanded it and worked for the Holmes Construction Company from 1942 to 1944. Shortly after she left there, she went to work for the Fifth Service Command, U. S. Civil Service Commission and stayed there until the war was over. 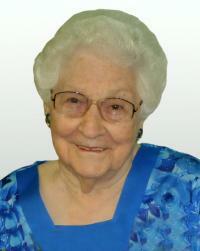 In recent years, she was proud to receive recognition as a Civilian on the Home Front World War II Honoree. After the war was over, Delcie went to work at Holophane where she remained until 1947. As a mom, Delcie worked from home as a seamstress (including making many dance costumes for Joan Garrett Dance Studio) and as a milliner. While raising her children, she also found time to volunteer her time and talents in many ways and accepted many leadership roles. She organized and was president of Central School Mothers’ Club and was president multiple years of the Central School PTA. In the Heart of Ohio Girl Scout Council she was a Troop Leader, neighborhood troop consultant, Council Recruitment Director and chair of Girl Scout Cookie Sales. At Central Church of Christ Delcie helped in whatever capacity was needed. She was also President of the YMCA Y-Moms. In 1966 the family moved to Canton. There, Delcie worked as Secretary to the Dean of Malone College and then as Executive Secretary to a Vice President at Diebold. She and Paul both retired in 1979 and returned to Newark. Paul passed away in 1992. In 2006 Delcie moved to Medina where she lived and was very active at the Western Reserve Masonic Community and was a member of First Christian Church of Medina. Delcie was very proud of her ancestry. She enjoyed researching genealogical records and learning about her ancestors. 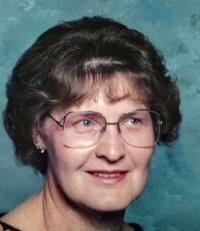 She served 20 years as a research volunteer and also served as President of the Licking County Genealogical Society. She was a member of the Daughters of the American Revolution (DAR) Hetuck Chapter, serving as Regent twice, and was a current member of the James Fowler Chapter DAR. She also was a member of the Society of Mayflower Descendants. Delcie loved to garden and to bake. In recent years she entered her African violets at the Medina County Fair, never entering the same plant twice and winning first place every time. At the age of 100 Delcie entered a honey angel food cake at the Fair and won not only 1st place, but also Best of Show. Her funeral will be held on Friday February 1, 2019 at 2 pm at Brucker & Kishler Funeral Home, 985 N. 21st St., Newark, Ohio, Rev. Jeff Gill officiating. Friends may call on the family one hour prior to the service. Burial will be at Barnes Cemetery following the service. There will also be a memorial service for Delcie at Western Reserve Masonic Community, 4931 Nettleton Rd, Medina, Ohio on February 22, 2019 at 2 pm with Pastor Laura Fitt-Baird officiating.